Businesses will be open during their regular Saturday hours. Please check with specific businesses in advance. 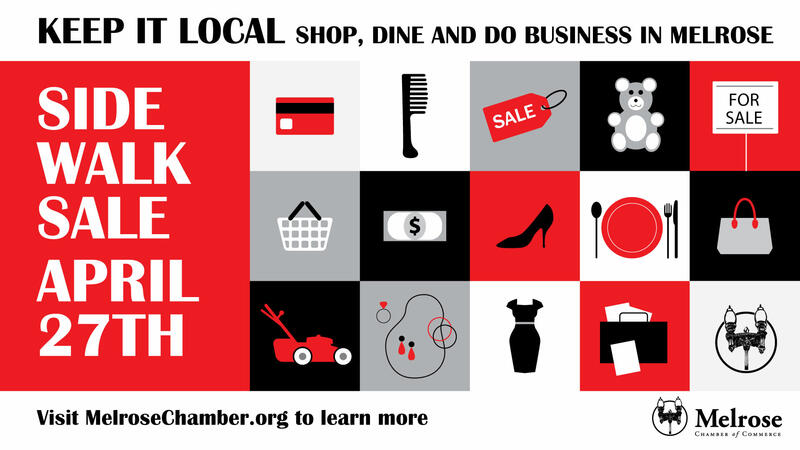 The Melrose Chamber of Commerce invites the public to shop, eat and do business locally on Saturday, April 27th during a spring sidewalk sale with several Melrose businesses. Support our local businesses throughout Melrose while welcoming Spring and getting in some great deals while they last! Check back here often as we update the list of sidewalk sale participants.